Reconstructive urology differs from regular urology as it usually involves open surgery and requires more general and plastic surgery skills. Dealing with Ureteric Defects Occurring due to Any Cause: These are usually dealt with by psoas hitch, Boari flap or transureteroureterostomy. 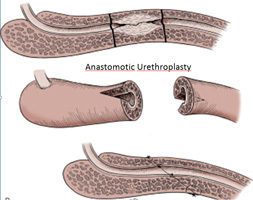 Occasionally, ureteroureterostomy or ureteric replacement with ileum are also performed for this purpose. 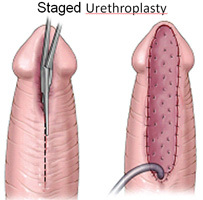 Urethral Reconstruction: Urethral reconstruction is performed by anastomotic and substitution urethroplasty. For example, buccal mucosal graft urethroplasties (single-stage or staged) are performed for traumatic or other acquired stricture disease and hypospadias. Other Surgeries: In addition, vesicovaginal and urethrovaginal fistula repairs, scrotal and penile reconstructions are also carried out.